This book takes as its starting point the need to examine critically the case for landscape reconnection. It looks at alleged disconnections and their supposed consequences. It explores the arguments about reconnecting the natural and human elements of whole landscapes. More broadly, it considers landscape as an arena within which science, humanities and professions can find common ground, and in which vivid social learning can occur about key social and environmental issues. It takes a dynamic view of landscape, in contrast to the popular image of timeless, traditional scenery. It accepts that even the most cherished cultural landscapes will change and, indeed, it views ‘change drivers’ as a potentially positive means of creating new connectivities between people and place. It recognises the growing interest in promoting resilience and ecosystem services across extensive landscapes - such as by creating new 'space' for water and wildlife. Paul Selman is Emeritus Professor of Landscape at the University of Sheffield, where he was formerly Head of Department. 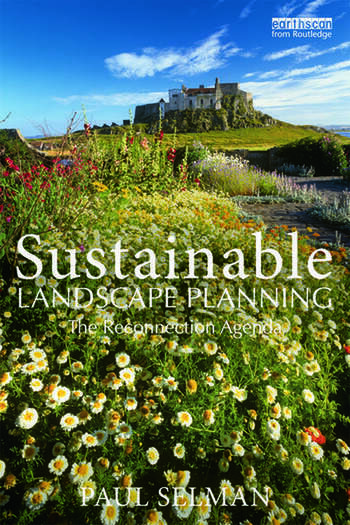 He has published extensively on landscape, environmental management and sustainable development, and has undertaken research for a range of government agencies as well as Research Councils.